Daily Illuminator: Look What Justin Made! November 6, 2009: Look What Justin Made! As we mentioned back in May, Justin is back on staff. While he was away, however, he wasn't just putting starbursts around pictures of puppies: he was designing a game. 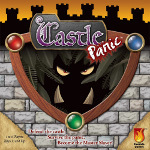 Castle Panic is a cool cooperative game in which the players defend their towers against an onslaught of goblins, ogres, and boulders. It's tense, fun, and great for gamers and non-gamers alike. 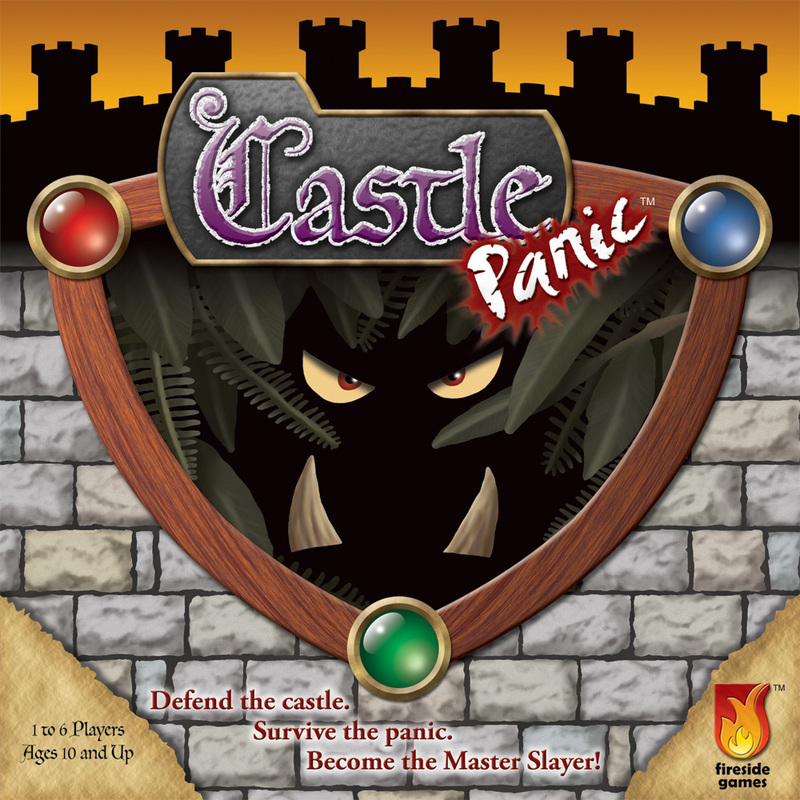 Like Pandemic or Arkham Horror, the board is trying to crush the players, but with Castle Panic there's a sense of whimsy that makes it more accessible to non-gamers -- and it doesn't take hours to have the game beat you. As you can tell, I love the game quite a bit. If you'd like a bit more objective review, there are quite a few excellent posts on BoardGameGeek that summarize the gameplay nicely. And once you've decided to buy it, Warehouse 23 has copies in stock!